Chiara Anderson recently started her second year in the Bachelor of Music (Performance) program. 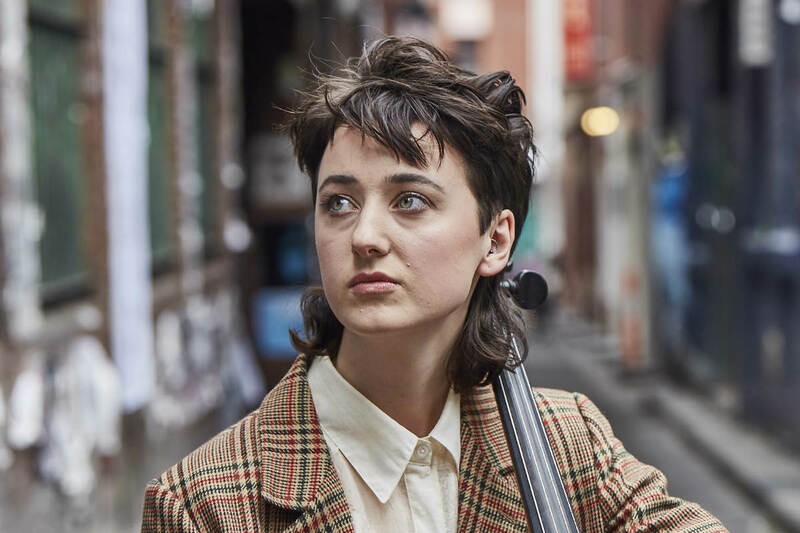 Here, she reflects on why she decided to study at the Conservatorium and what her first year was like. Until almost the end of Year 12, I wasn’t sure what I wanted to do after finishing school. I was tossing up between doing a music degree or an arts degree, but as the date crept closer to university preference selection, it finally clicked: I just had to pursue music. After my audition for the Conservatorium I had the opportunity to look at the campus and chat with my audition panel. They were so friendly and welcoming, which was a real draw for me – it’s important to feel you have a supportive environment. That’s when I decided the Conservatorium was the right place for me. Music is a huge part of my life, and where I derive much of my inspiration. I enjoy listening to a variety of different styles and discovering new artists through independent radio, YouTube, and Spotify. I’m very excited by contemporary “new music”, especially that which borrows from past music traditions. Outside of music, I find inspiration in the books I read, in interesting conversations, and in nature. Even a trip on the train can be inspirational if you let it be. As with most things that are truly rewarding, studying music can be incredibly challenging at times. The expectations are high, and it can be difficult to stay on top of commitments such as assignments, ensembles and, of course, individual practice. It’s vital to look after your emotional health during these times. At the end of the day, all you can do is work hard and let your achievements speak for themselves. One reason I chose to study at the Conservatorium is that I grew up in Melbourne and I love being in the city. It’s important to me to be able to be able to interact with and be part of this city’s culture, rather than being isolated from it. I also really enjoy the company of my peers. It’s very stimulating to be in an environment that combines a common love of music with a variety of unique musical backgrounds. I’ve really taken a lot from my cello lessons with Dr Alvin Wong. His instruction has given me a valuable new perspective on my playing. The amount that I’ve improved in just a short period of time is pretty incredible, and it just makes me want to keep practising and keep getting better. For me, the highlight of 2017 was the last University of Melbourne Symphony Orchestra concert in Hamer Hall. It was a great program, including Shostakovich’s Symphony no. 10 and Respighi’s Pines of Rome, and an excellent culmination of a year of hard work. My goals and plans for this year are fairly modest and very flexible. I’d like to be playing more chamber music and doing more composition, as well as playing more with contemporary, popular groups. 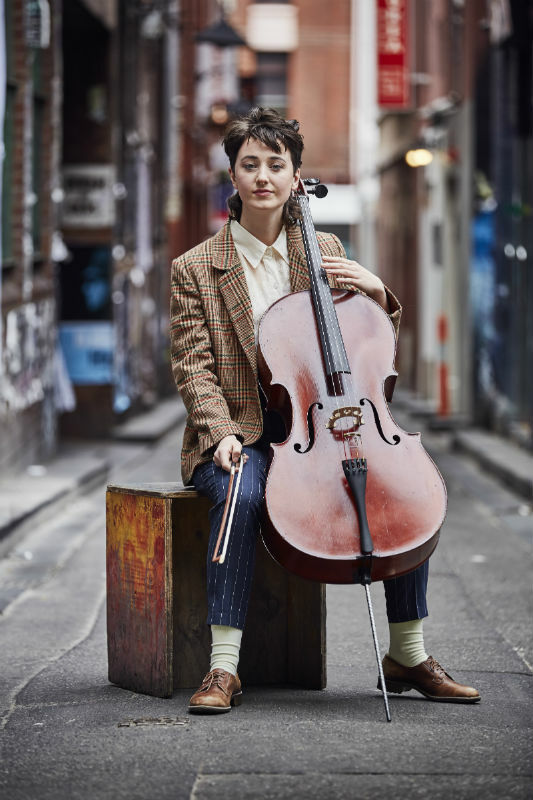 So far, my time at the Conservatorium has opened me up to a broad range of learning experiences that have made me not only a more well-rounded musician, but a more well-rounded person. I’ve also found my one-on-one career consultations really valuable as they’ve expanded my awareness of the different possibilities there can be to make a career out of music. I’m early on in my music career, but there are a few guidelines I try to follow that have stood me in good stead so far: show up on time, don’t make excuses, and be courteous. Just act professionally from the get-go. If you don’t show respect for your peers and employers, it will be difficult to get work no matter how talented you are. My foolproof method for de-stressing is going to op-shops and picking up a bargain. This is not the most financially responsible relaxation technique, but it has resulted in me owning a pretty banging collection of novelty ties and frilly grandma dresses. I also really love dancing, especially to old disco hits and 80s synth-pop. Banner image: Chiara Anderson. By John O’Rourke.